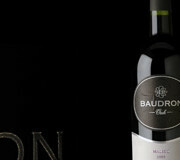 The Baudron Malbec Varietal 2006 and the Baudron Malbec Oak from the same vintage have each been awarded a Silver Medal at the prestigious VIII Concurso Internacional Vinandino 2007 that took place between November 26th and November 30th in the cities of San Juan and Mendoza in Argentina. 860 wines and 31 spirits of which 600 originated from more than 20 countries and 291 from Argentinean cellars took part in this competition making this result a trully remarcable one. The competition, which is held every two years, thanks its international prestige and character to the cooperation of the Union Internationales des Oenologues, Siege Social: c/o OIV-18, Rue d´Aguesseau – 75008 – PARIS. FRANCE and its founding member: Fédération Mondiale des Grands Concours Internationaux de vins et spiritueux 905, avenue De Lorimier Montreál (Quebec) H2K 3V9 CANADA.